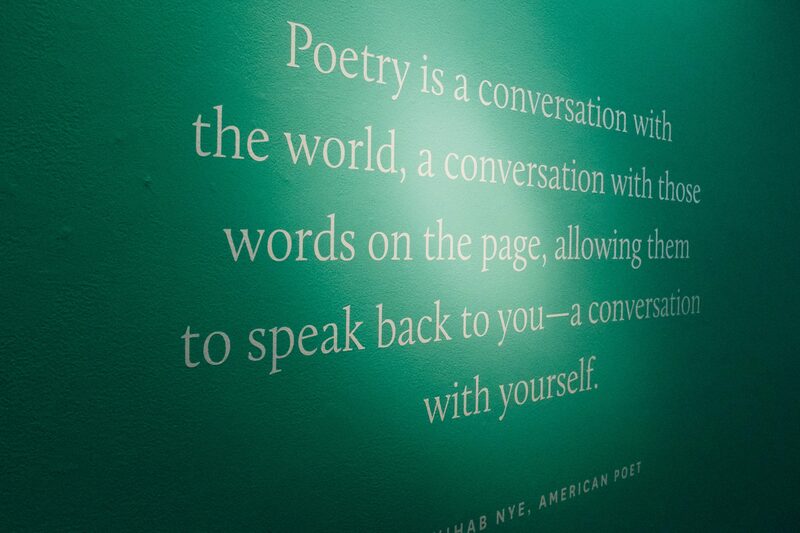 Poetry is the means by which a place comes to know itself. 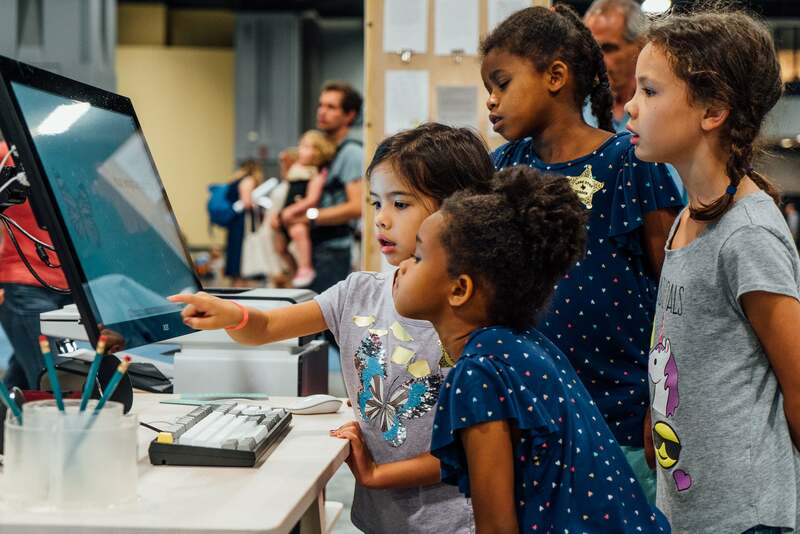 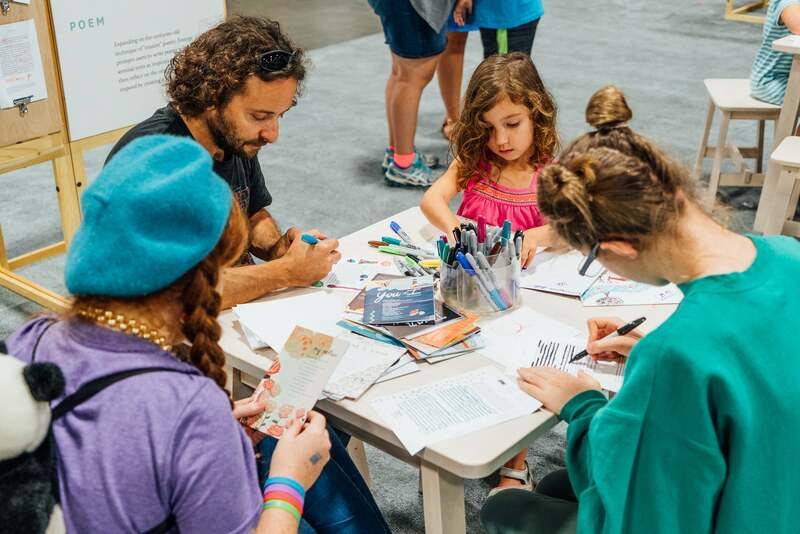 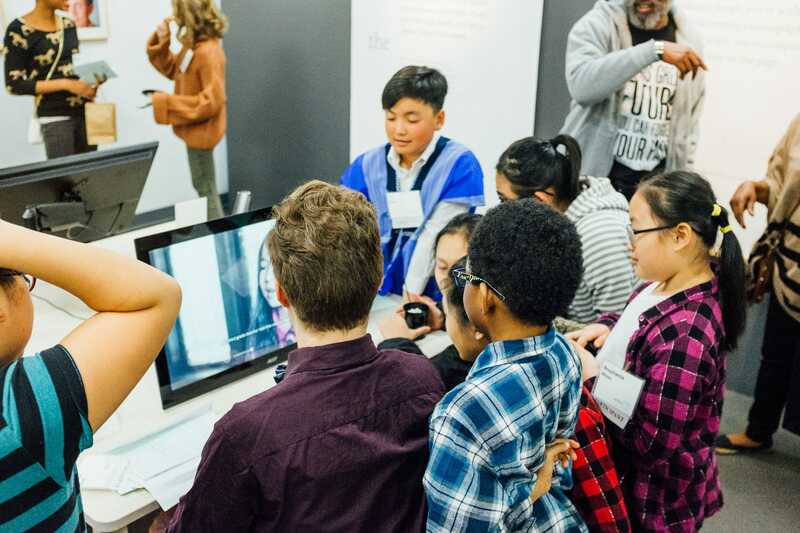 Through our exhibits, we facilitate cross-cultural, intergenerational conversations through poetry and design—offering people of all ages opportunities to share their voices across the divisions of language, age, and culture. 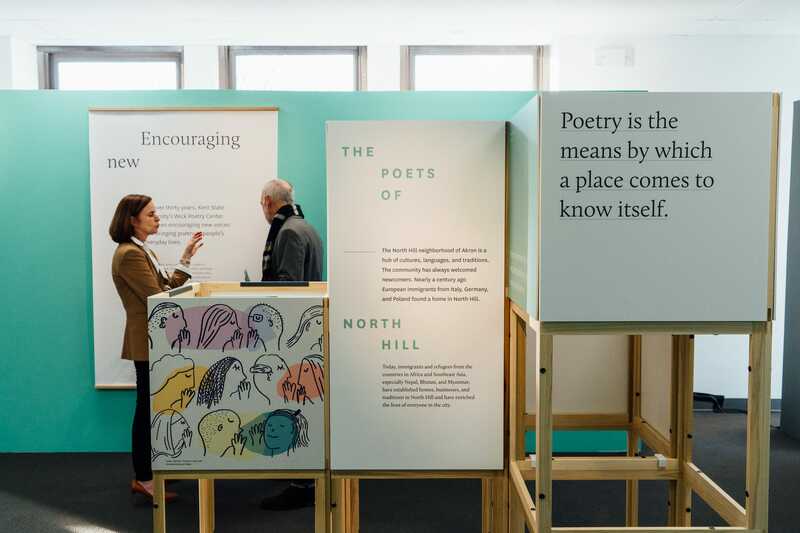 Poetry is the means by which a place comes to know itself. 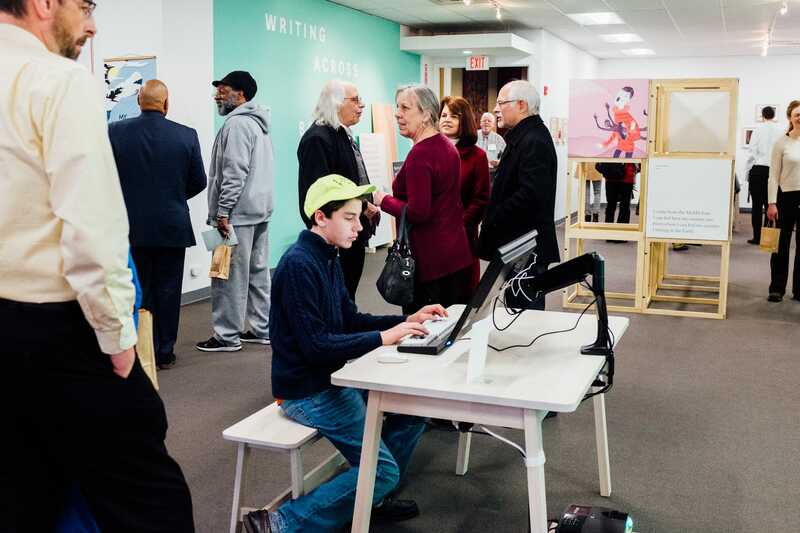 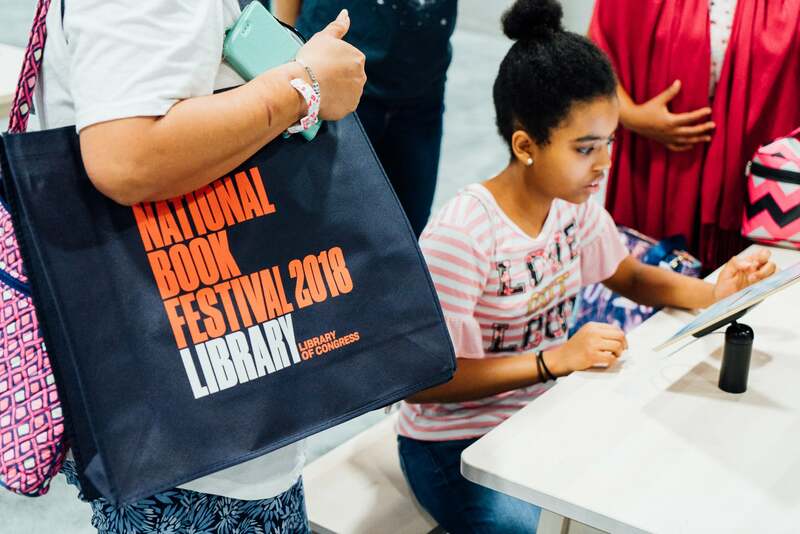 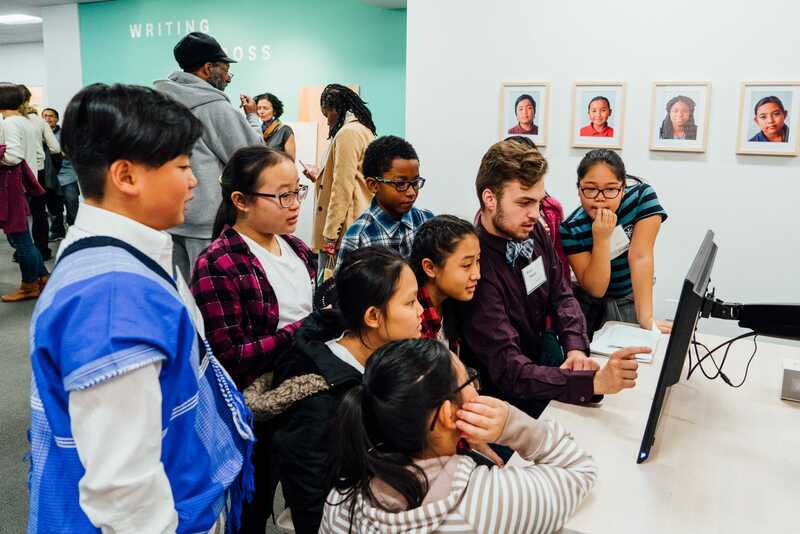 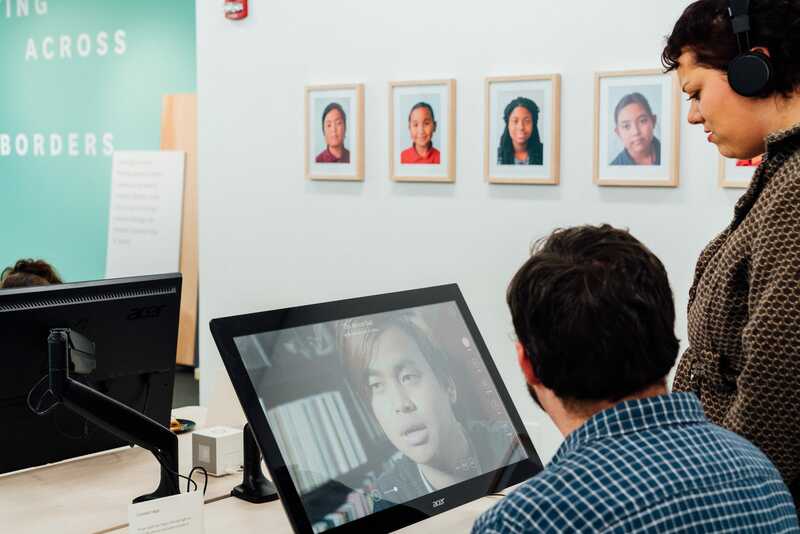 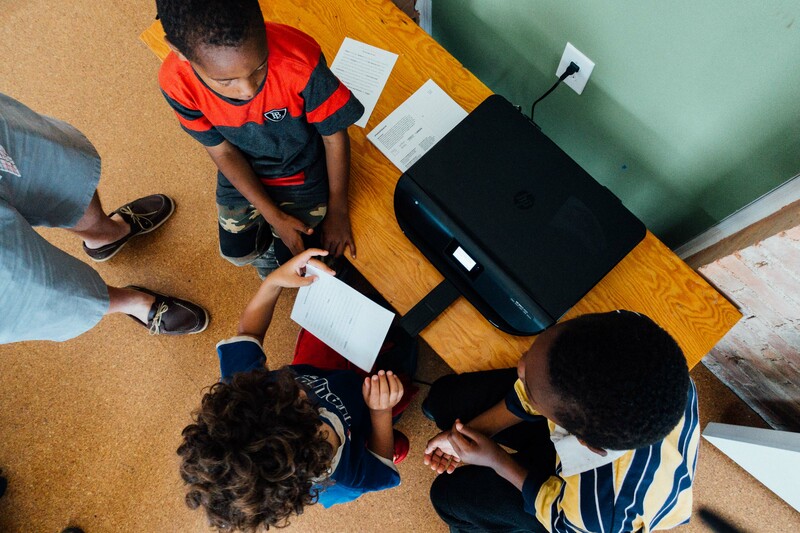 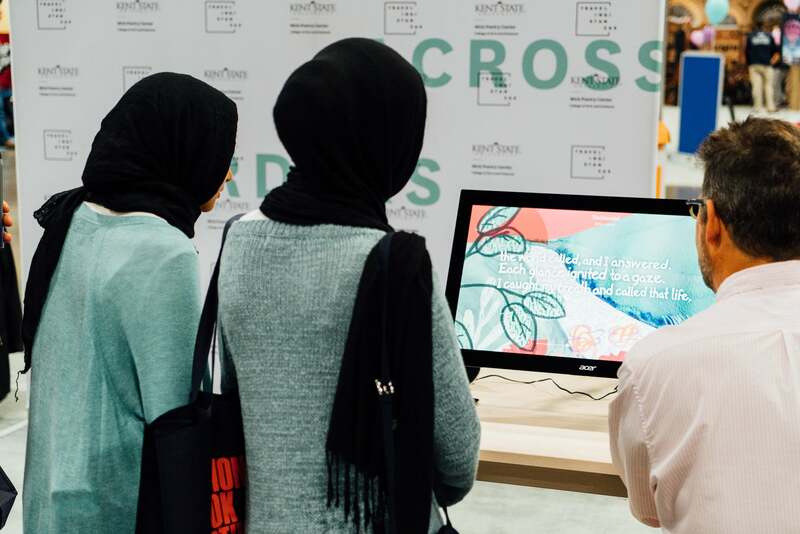 Through our exhibits, we facilitate cross-cultural, intergenerational conversations through poetry and graphic design—offering people of all ages opportunities to share their voices across the divisions of language, age, and culture. 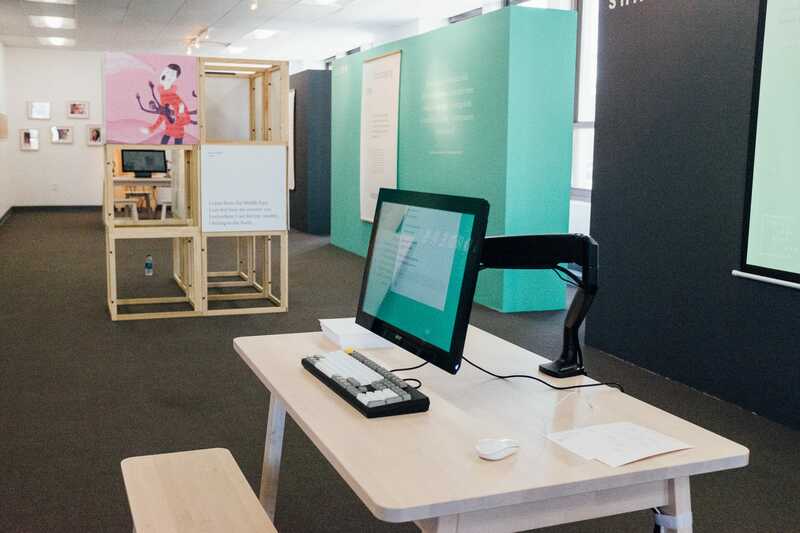 Our exhibits create dialogues using engaging digital tools and creative experiences. 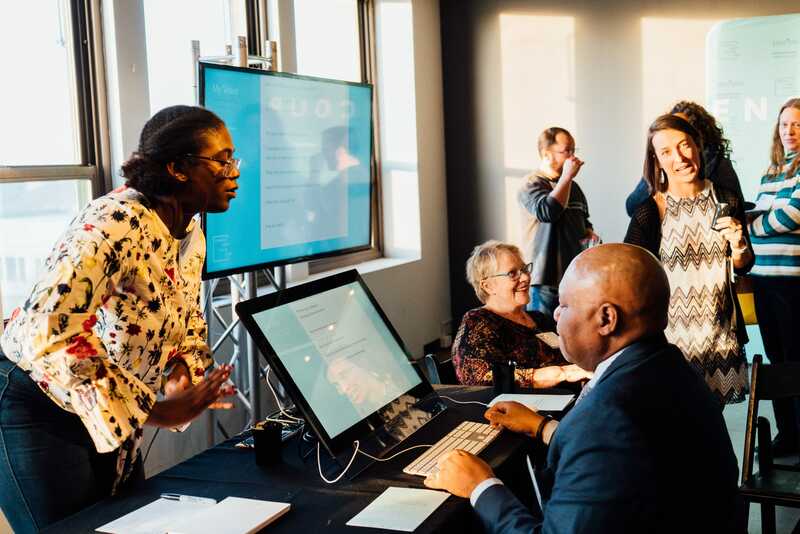 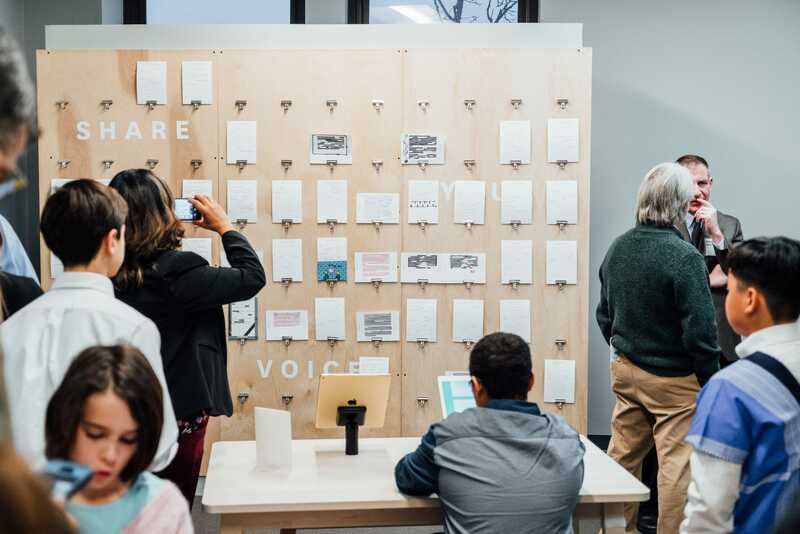 Traveling Stanzas hosts interactive exhibits that unite communities around important topics and facilitate civic dialogues through the intimate and inclusive voice of poetry. 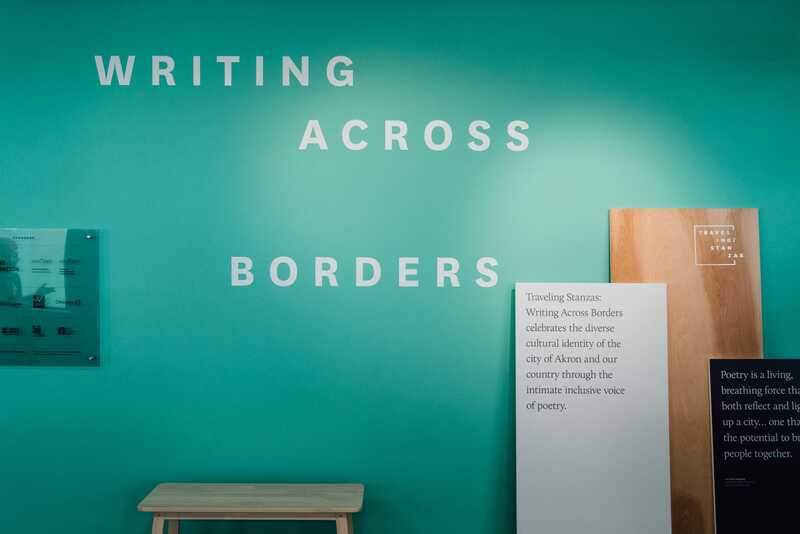 Traveling Stanzas: Writing Across Borders celebrates the diverse cultural identity of our democracy and engages a national civic dialogue through the intimate and inclusive voice of poetry. 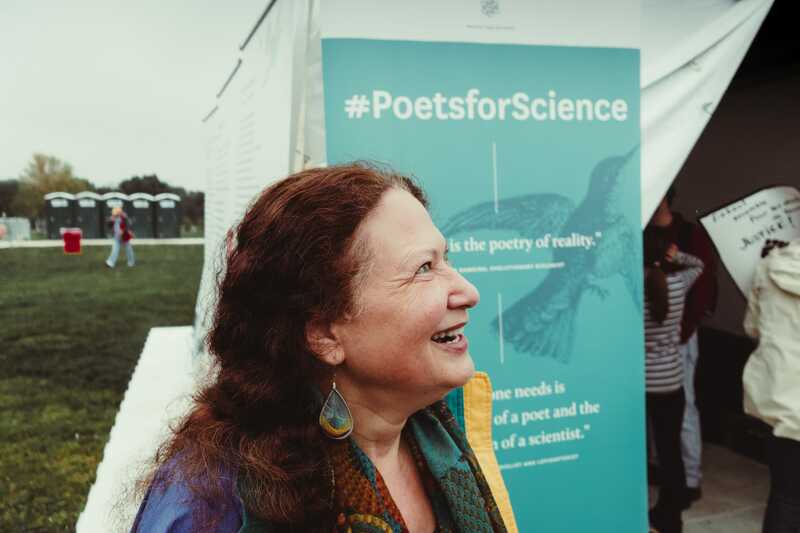  Poets for Science is both a special curated collection of poems and a movement created in collaboration with Jane Hirshfield exploring the connections between poetry and science. 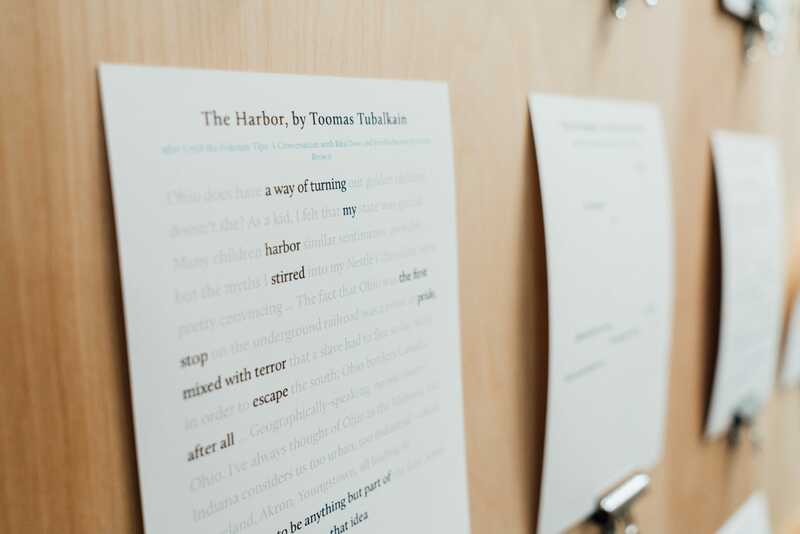 When visitors experience Traveling Stanzas exhibits, they can interact with creative writing tools and other activities. 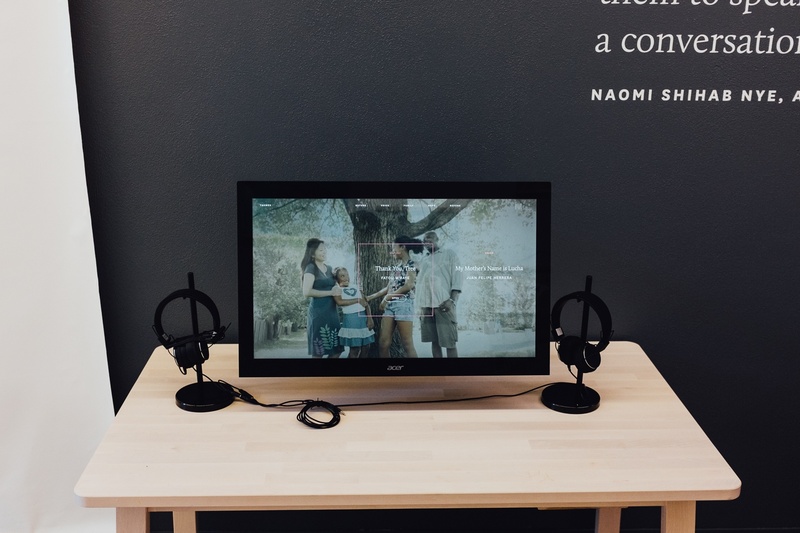 Throughout these experiences, their voices are incorporated into the exhibit for future visitors. 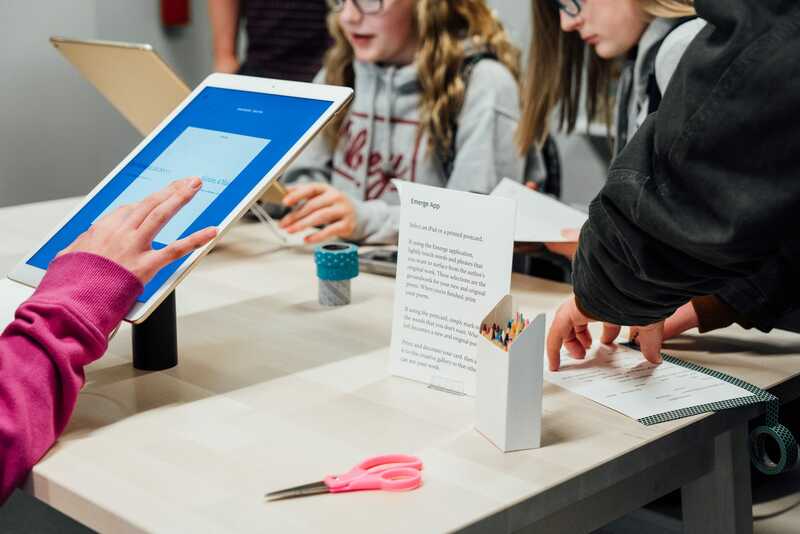 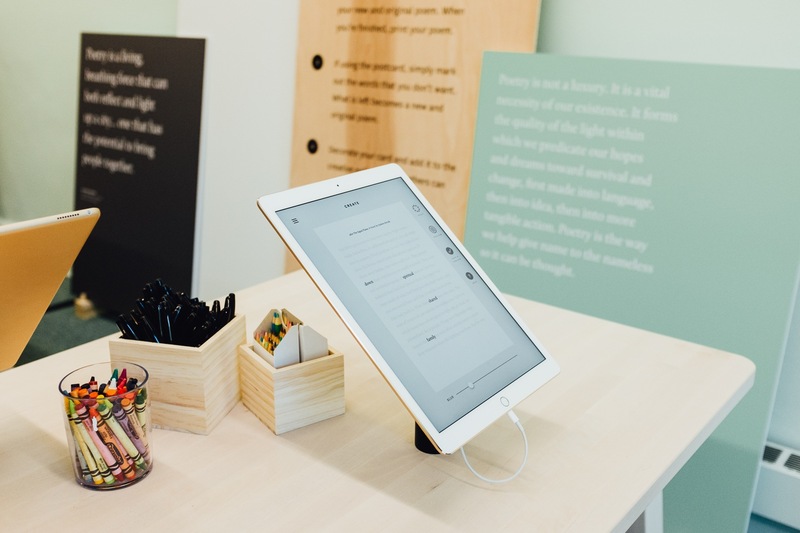 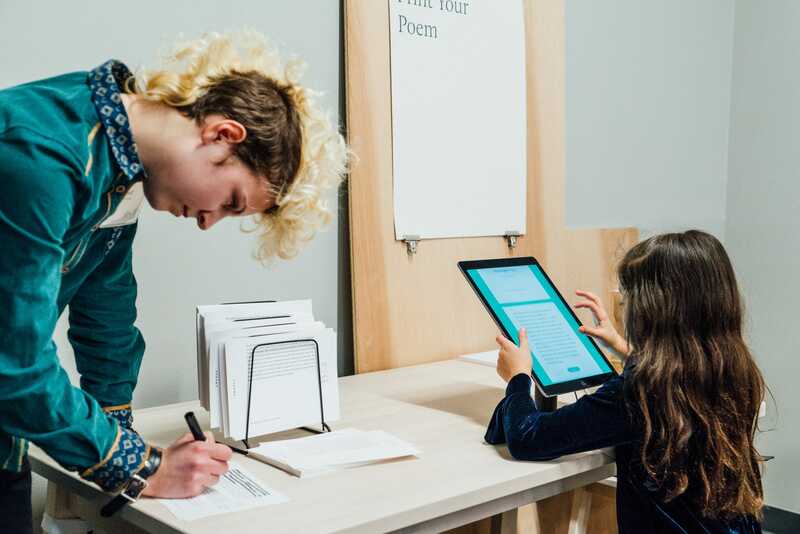 The Connect station celebrates the stories of the poets in each exhibit by connecting visitors with them in an interactive form. 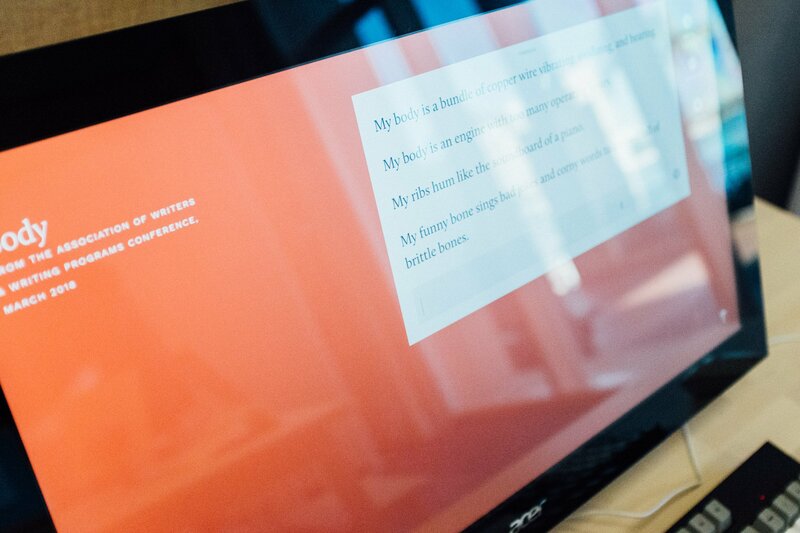 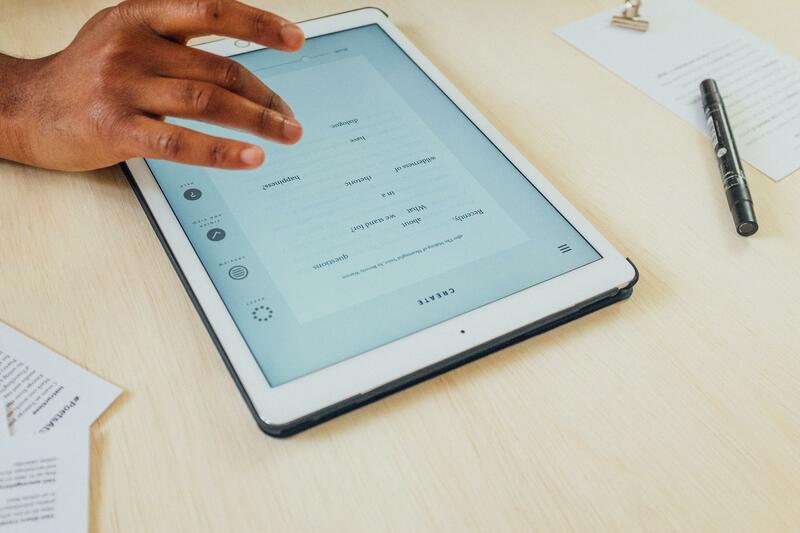 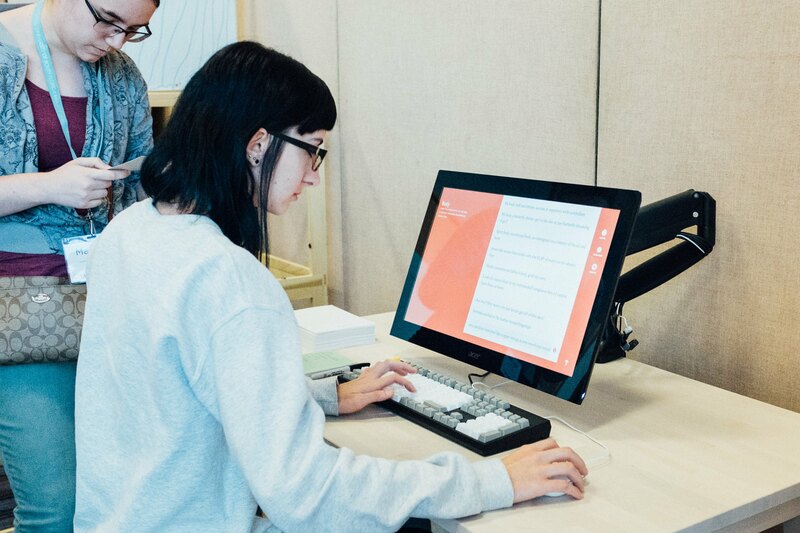 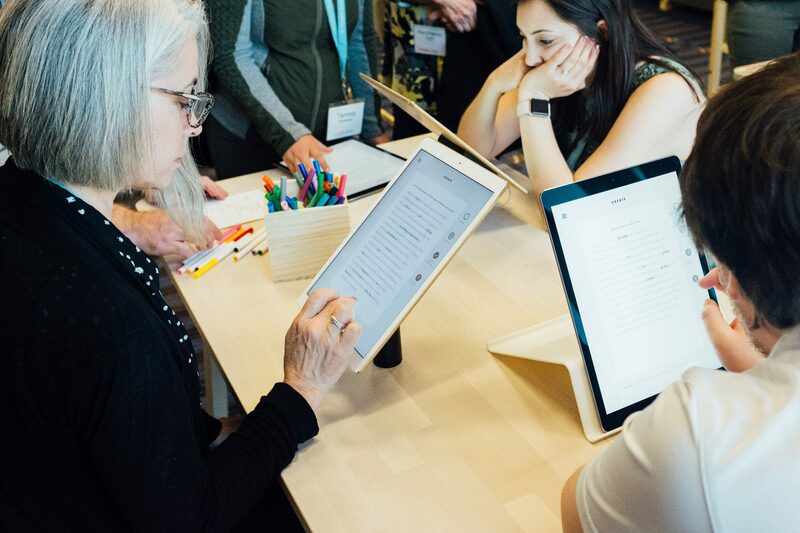 A digital touchscreen application, Connect, hosts video interviews, poem readings, portraits, biographies, and is accompanied by descriptive panels and portraits. 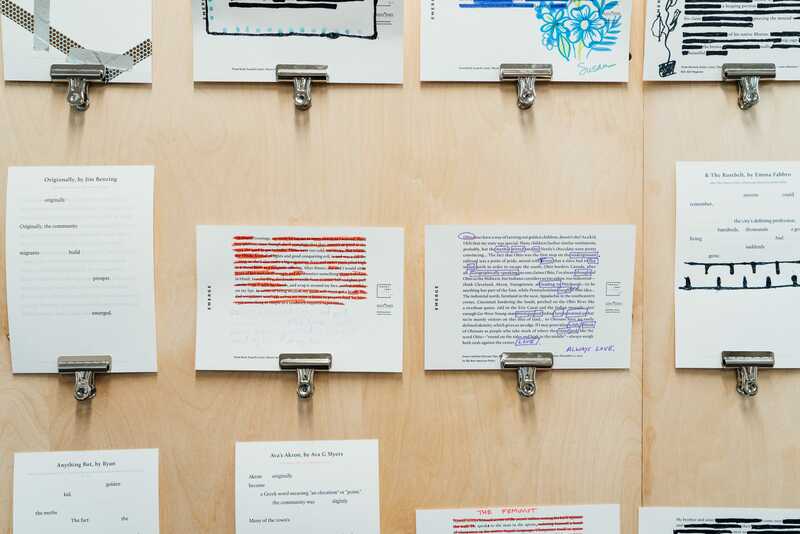 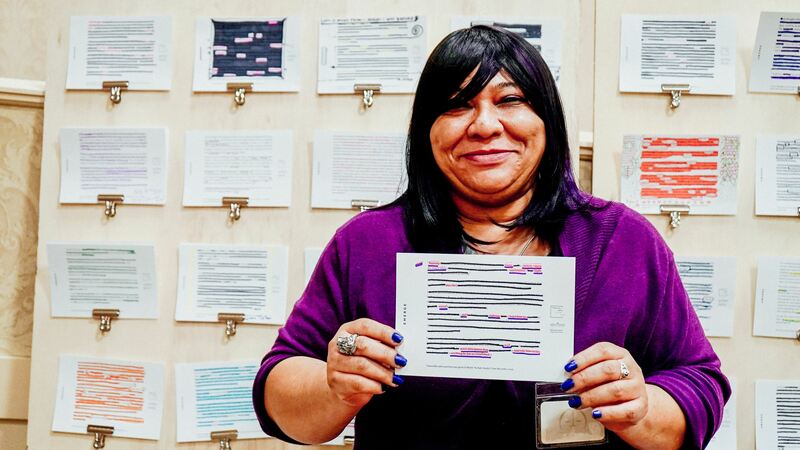 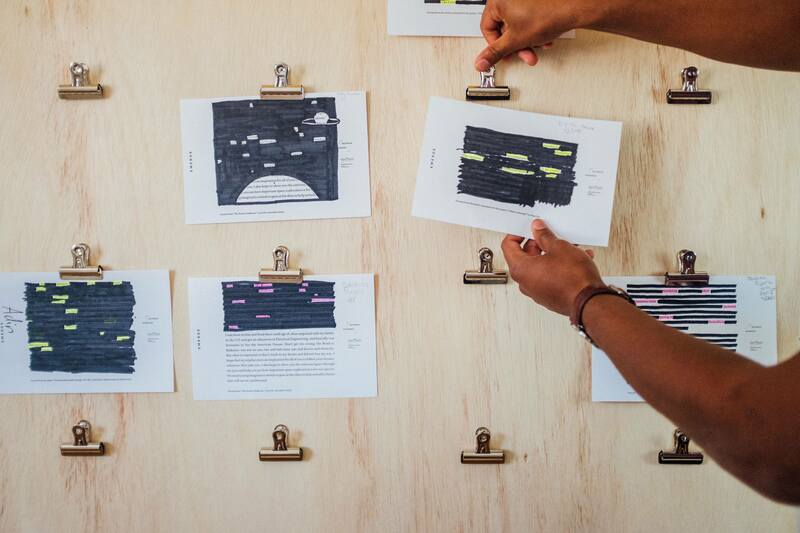 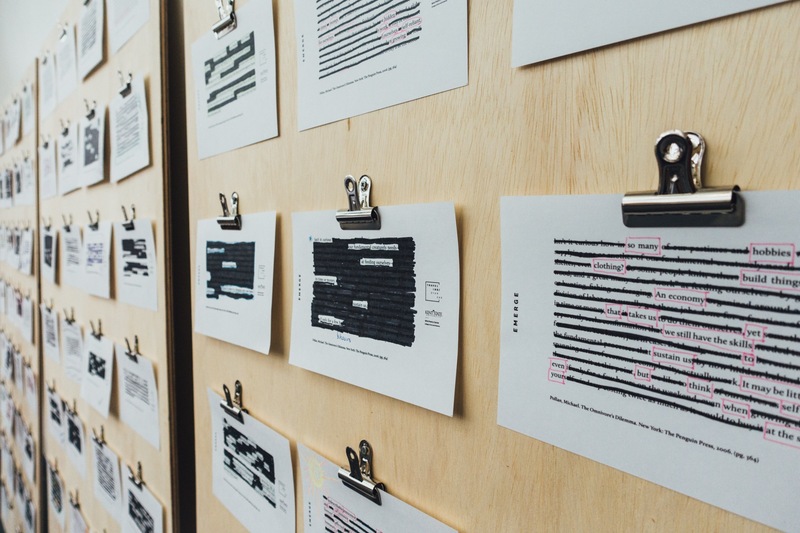 Emerge prompts users to create an erasure poem using seminal texts as a starting point for reflection. 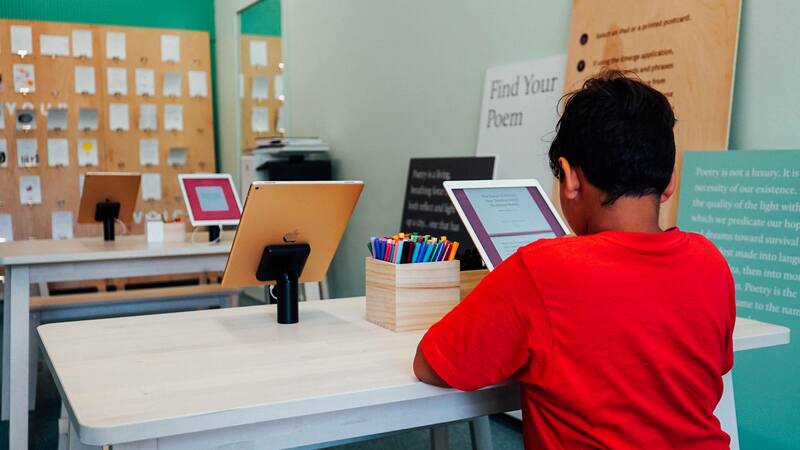 Creativity stations allow users to further personalize their poems with various design and crafting tools. 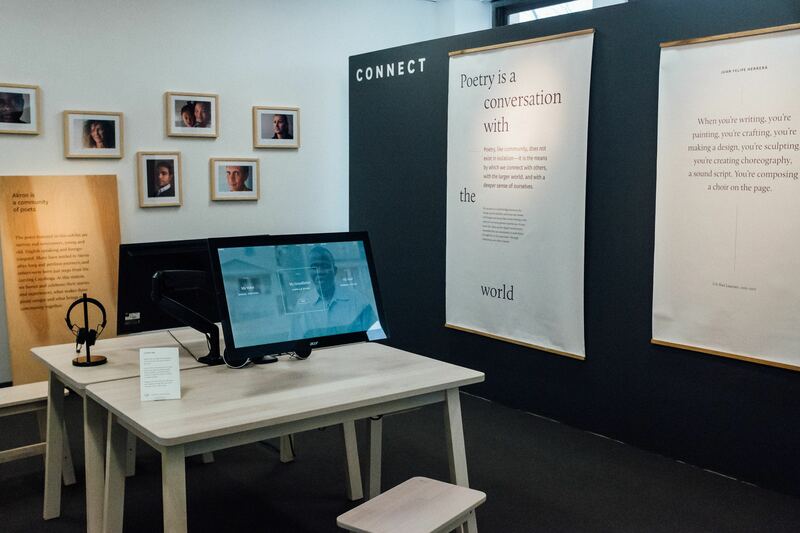 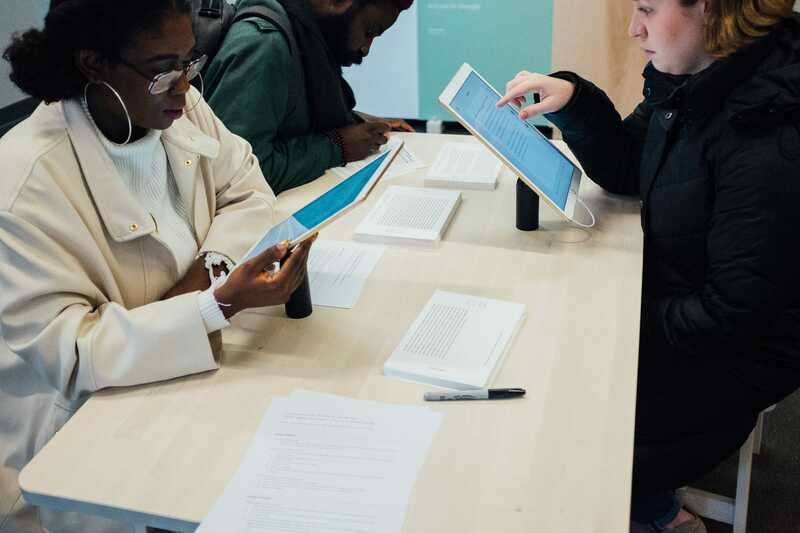 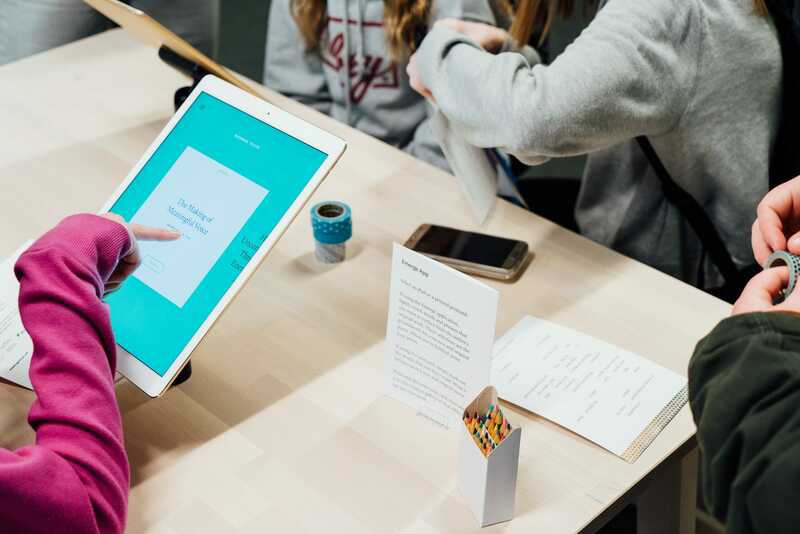 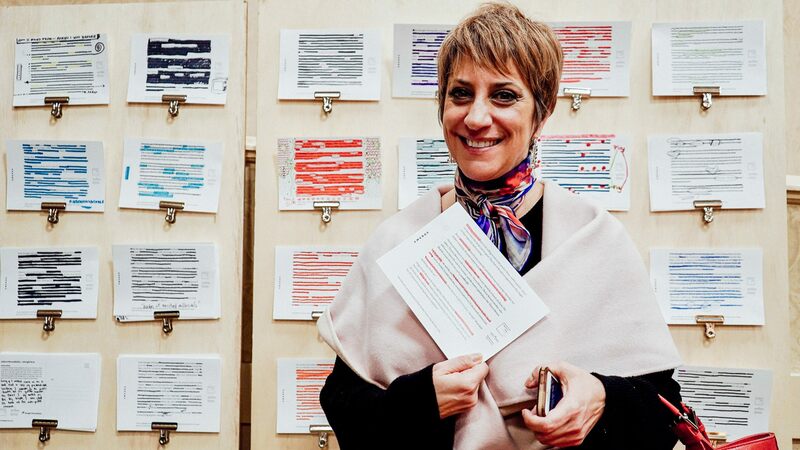 Visitors can print and share their new poem, carrying on the dialogue. 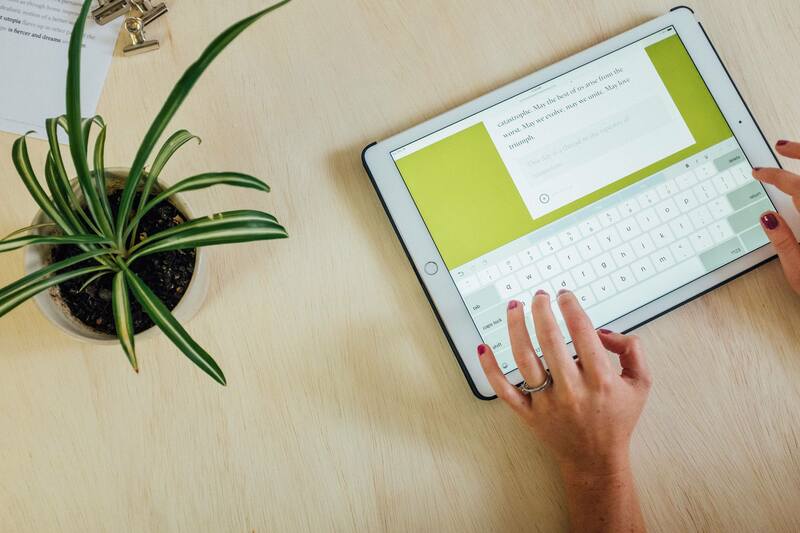 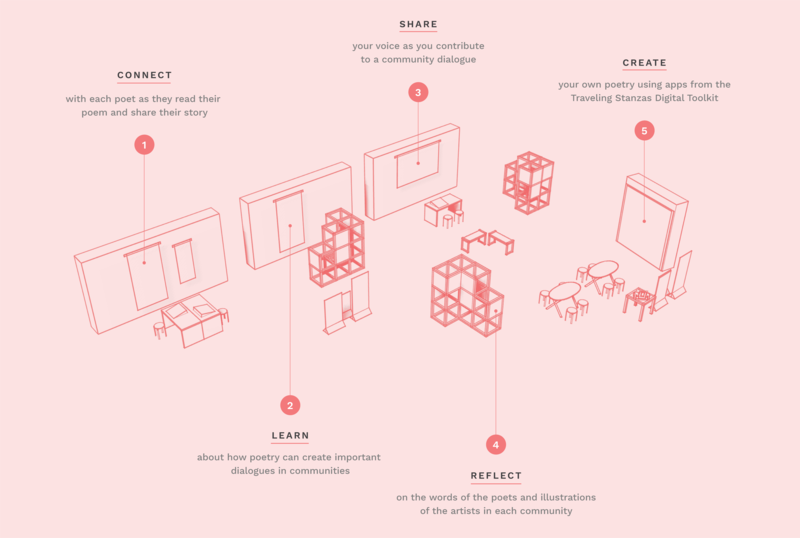 Thread is a digital tool for creating a community poem where participants each add a line in response to a topic or theme relevant to the community, creating a dialogue among its participants. 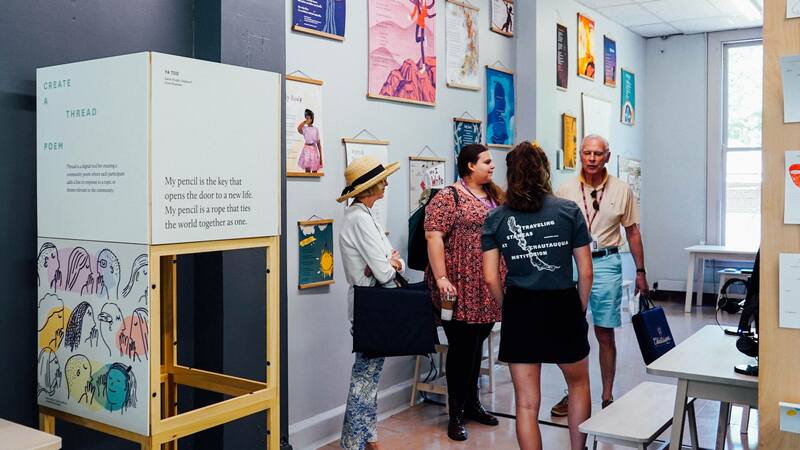 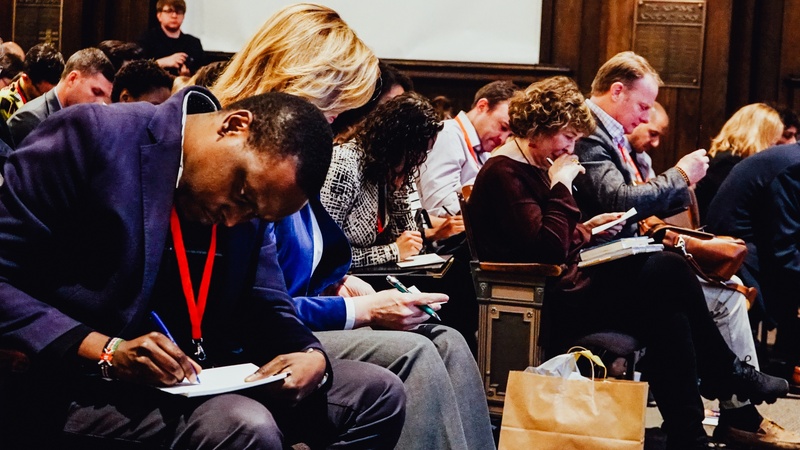 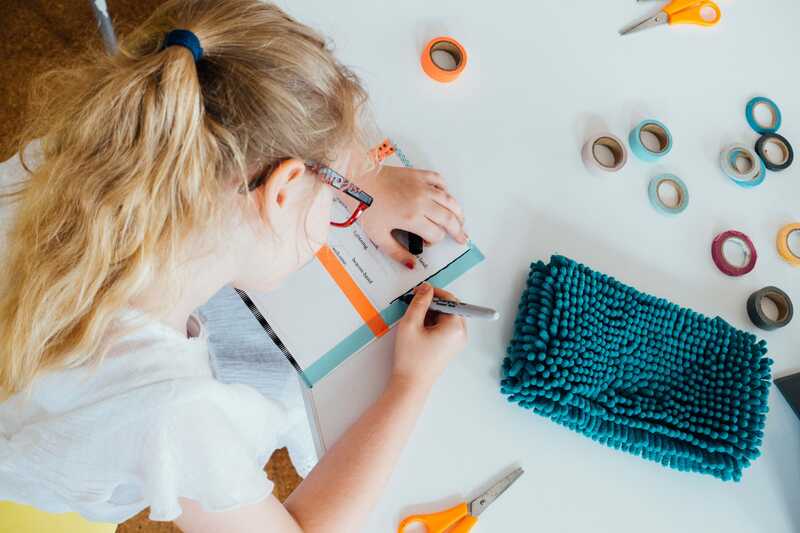 Additionally, new threads can be created for teachers, classrooms, events, conferences, or programs—bringing people together in a shared conversation through poetry. 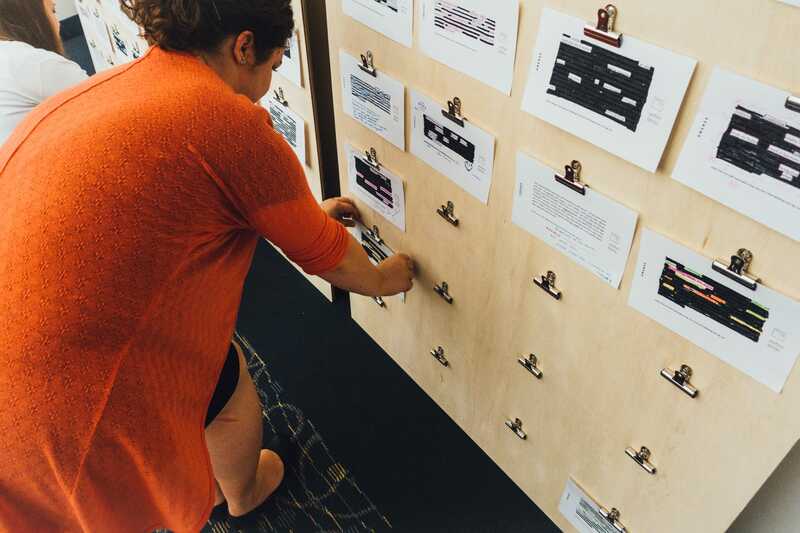 The Stanza Wall and the Sharing Walls are large scale installations where visitors can leave share their voice. 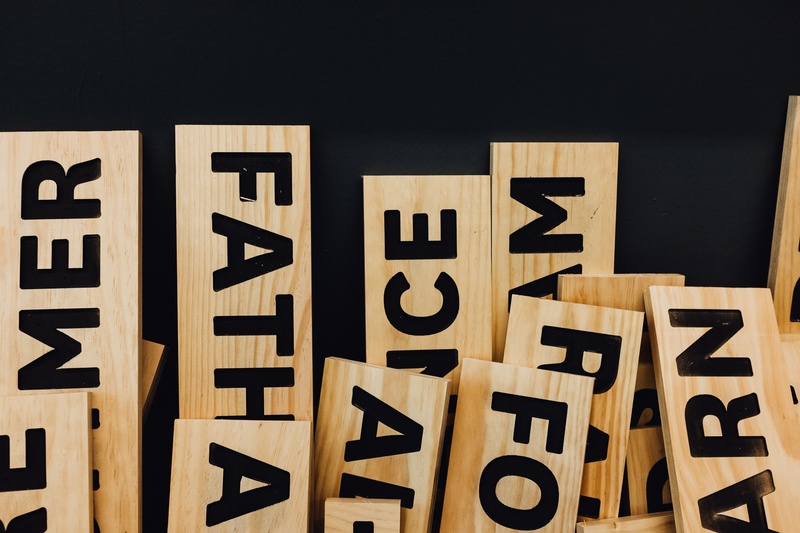 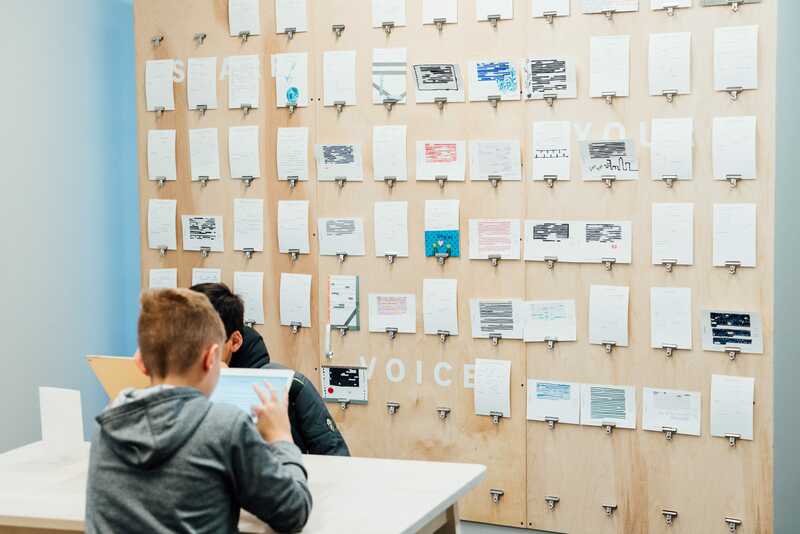 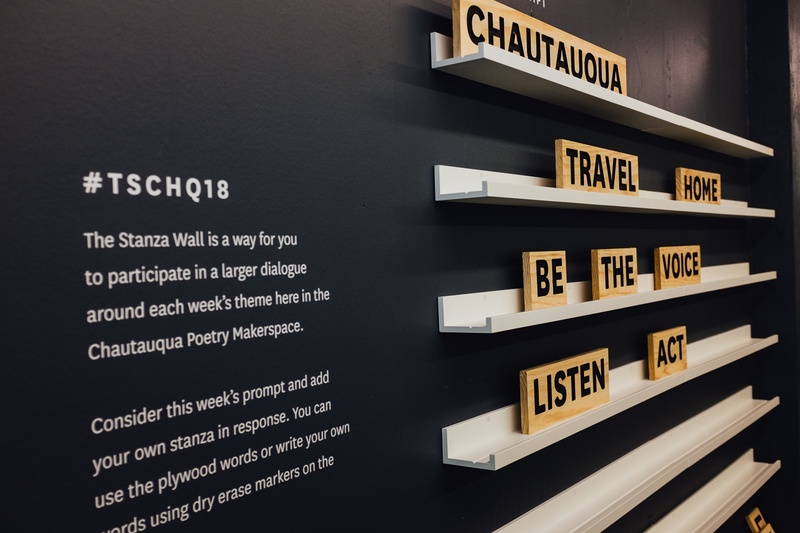 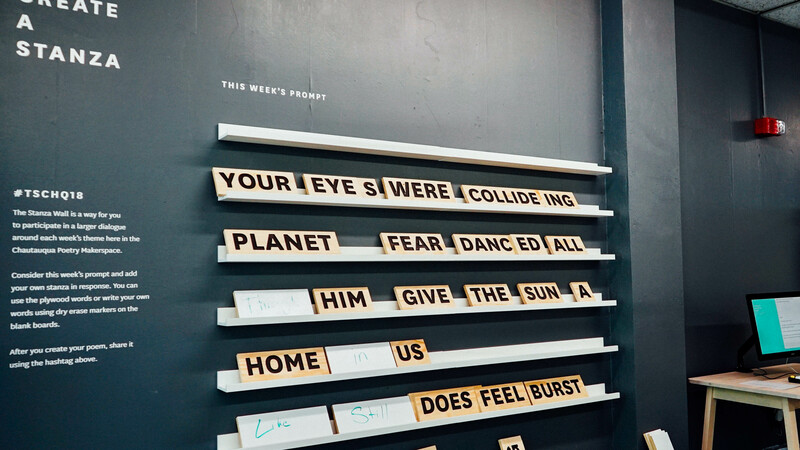 The Stanza Wall is a large scale, scrabble-like poetry wall where adults and children alike can create an individual or group poem out of wood-cut words. 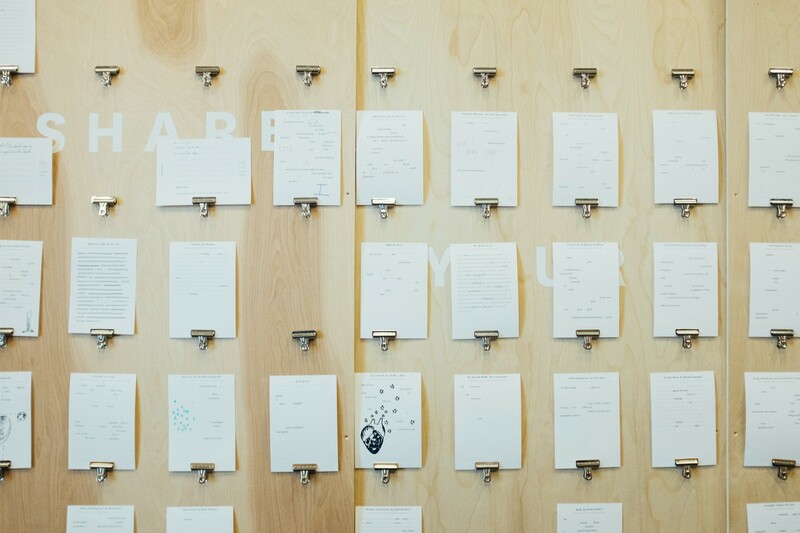 The Sharing Wall is a place for visitors to post their Emerge poems. 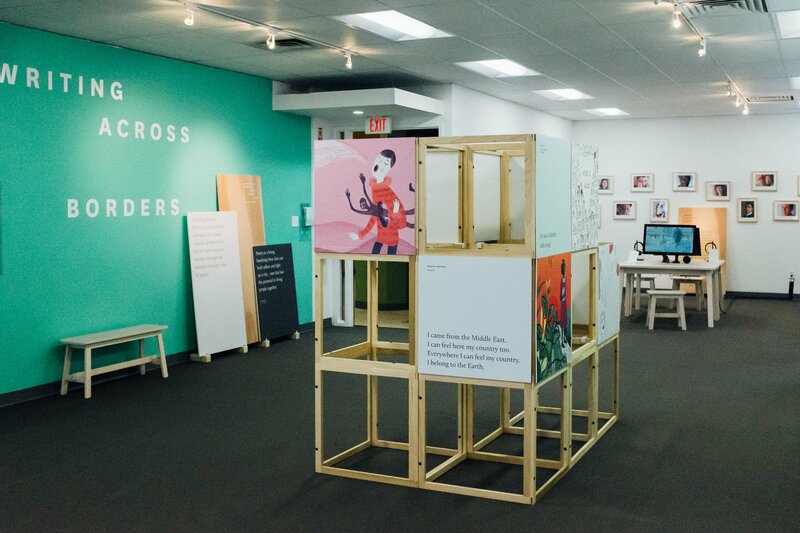 Bring an exhibit to your community. 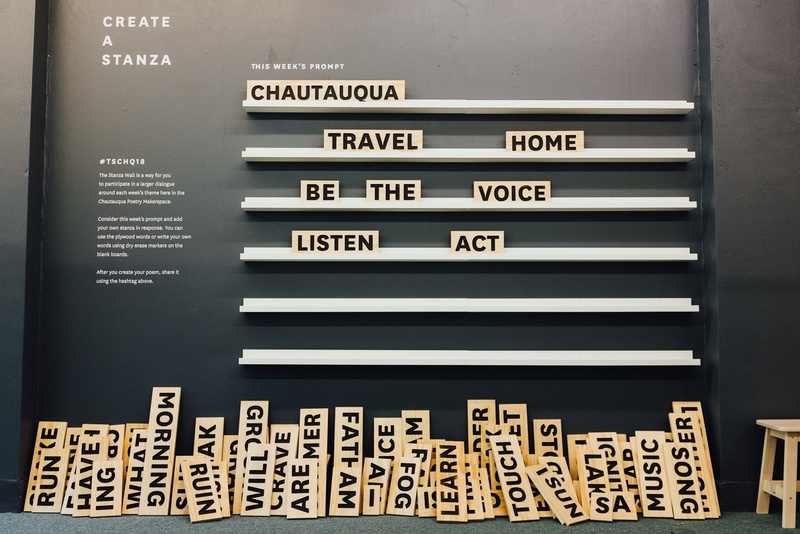 Are you interested in bringing a Traveling Stanzas exhibit to your city? 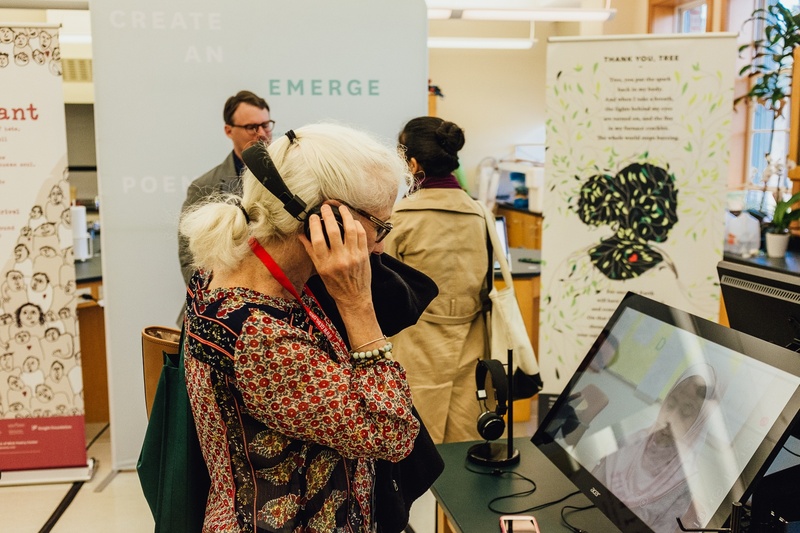 Designed with a modular approach, our exhibits are ready for adaptation to various spaces—whether an open gallery, library hallway, or hospital lobby. 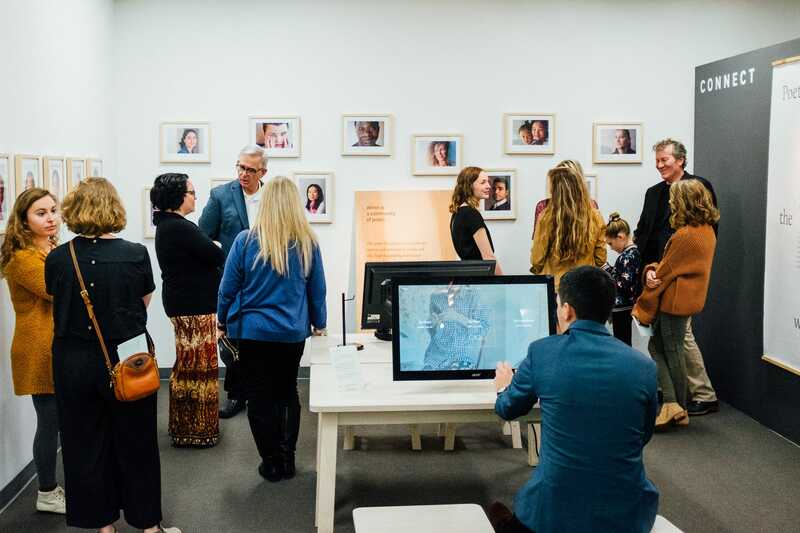 With each new location, our exhibits can unite communities around important topics and facilitate a civic dialogue through the intimate and inclusive voice of poetry. 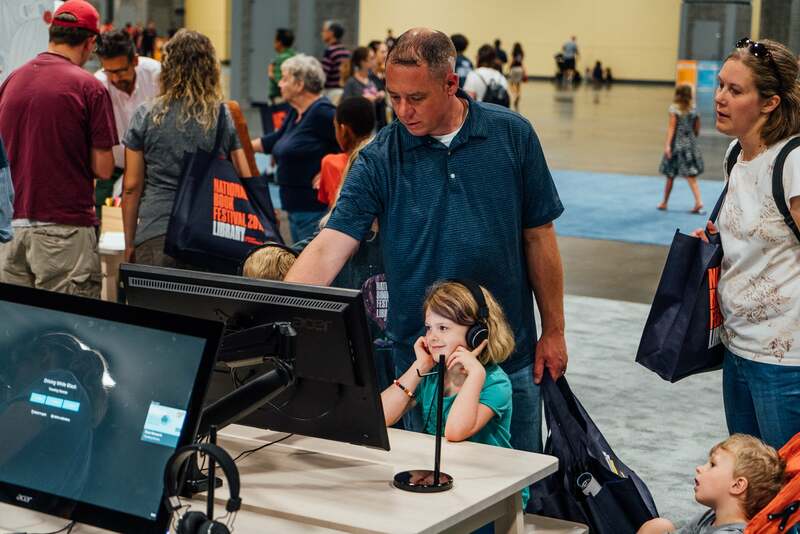 The diagram below outlines the five stations that make up our exhibits: Connect, Learn, Share, Reflect, and Create.